Mickael became a Godolphin jockey in March 2012 and is the team's principal rider in France. Born in Lyon, France, Mickael hails from a racing background. His grandfather was a trainer and his uncle rode both on the flat and over jumps. He joined premier trainer Andre Fabre as an apprentice jockey in 2009 and rode out his claim within the year, notching 72 wins. Mickael registered his first win for Godolphin on Sabotage in the inaugural running of the Dubai Gold Cup at Meydan in 2010. His first G1 success for the stable followed the next year when Wavering captured the Prix Saint-Alary at Longchamp. Mickael shot to international prominence in June 2011 after a stunning victory aboard Pour Moi in the G1 English Derby at Epsom at the tender age of 19, becoming the youngest jockey to win the premier British Classic in 30 years. 2012 was a standout year for Mickael, who partnered Monterosso to a scintillating victory in the G1 Dubai World Cup. That autumn, he steered Certify to her first G1 win in the Fillies’ Mile at Newmarket. 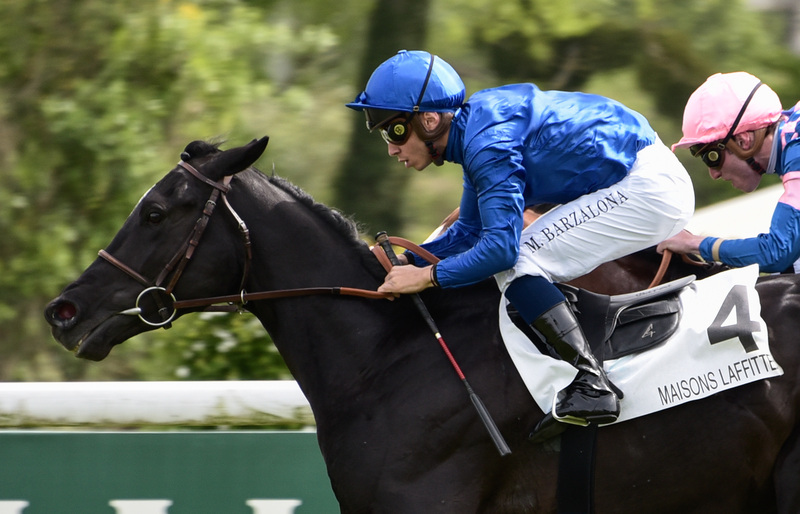 In 2015 Mickael recorded his second G1 win for Godolphin in France when he rode the Andre Fabre-trained Territories to victory in the Prix Jean Prat over one mile at Chantilly. He also partnered the striking colt Talismanic when he won the G1 Breeders' Cup Turf at Del Mar, USA, in November 2017.